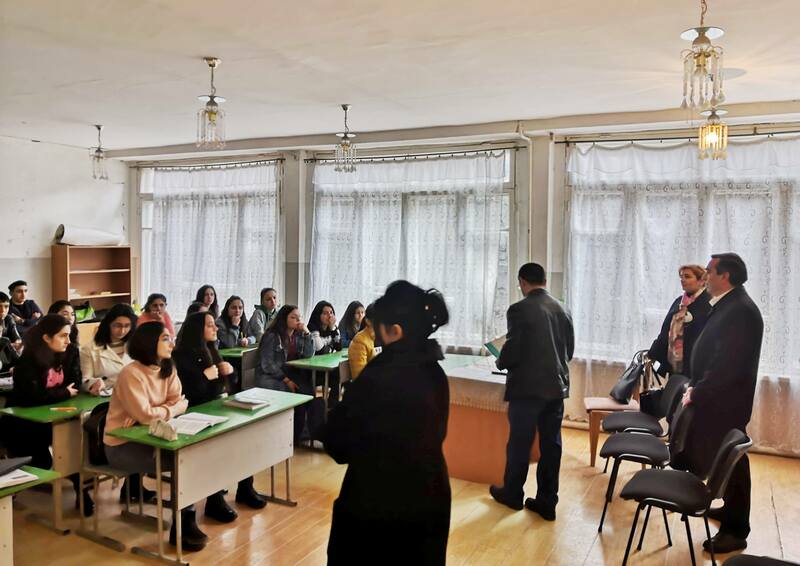 On March 14-22, 2019, the representatives of YSUIB Professional Orientation and Practice Department and lecturers of different departments held discussions on professional orientation at Ijevan 7 secondary schools, Ijevan College, and with 11th and 12th graders of Margahovit village Secondary school of Lori Region. 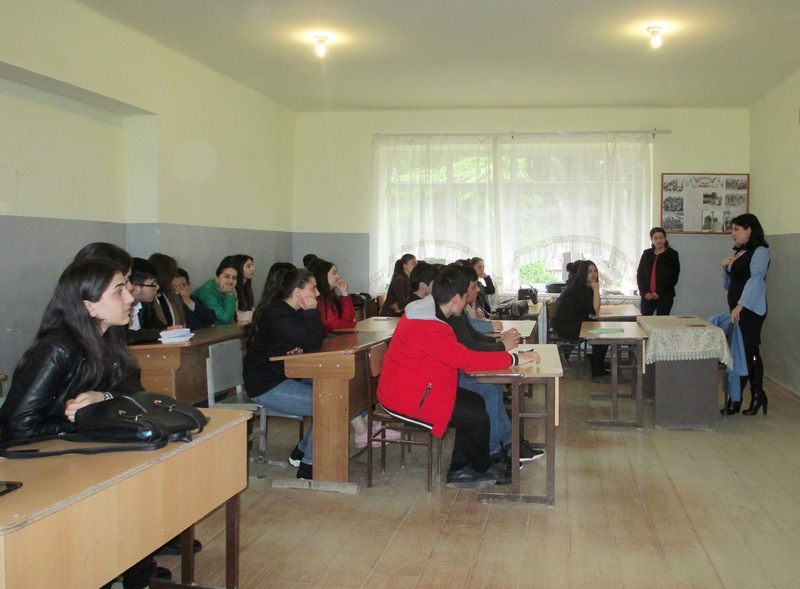 Hrant Tamrazyan Secondary School students had a meeting with Acting Director of YSUIB, PhD, Associate Professor Artak Tsutsulyan, Associate Professor of the Department of Armenian Language and Literature, PhD Alisa Hasanyan, who underlined that Achajur played a great role in the establishment and development of YSUIB, the founder-director was PhD Hamlet Karayan, and a large percentage of YSUIB employees and students are from Achajur. 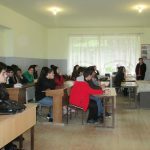 They introduced the professions available at YSUIB, talked about the possibility of choice, courage and self-confidence, attention during exams. Head of Educational-Methodological Department Arkady Davtyan, Head of the Department of Professional Orientation and Practice, PhD, Assistant Lianna Beginyan met with the students of Margahovit Secondary School. 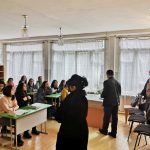 Acting Head of the Department of English Language and Literature, PhD, Associate Professor Kristine Harutyunyan delivered a lecture for the 11th graders of Ijevan College. 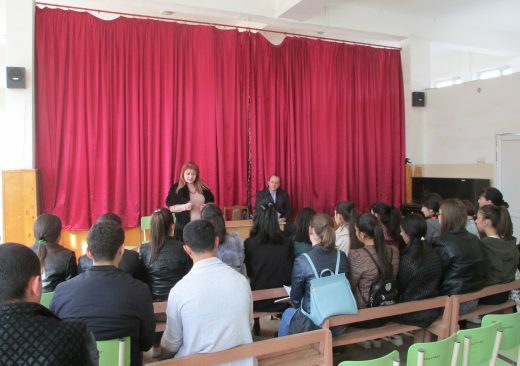 Associate Professor of Department of Armenian Language and Literature, PhD, Associate Professor, Alisa Hasanyan had a meeting with Kayan and Aygehovit Secondary Schools Students. 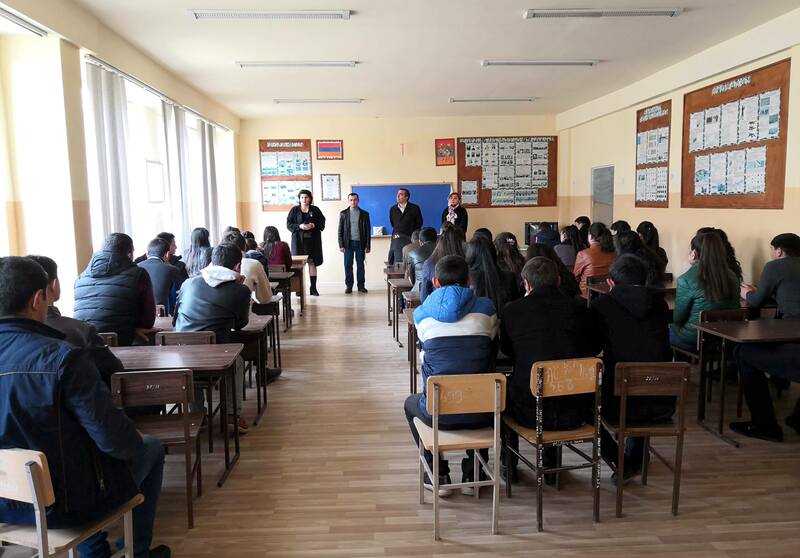 Acting Dean of the Faculty of Humanities, PhD, Associate Professor Karine Poghosyan and Acting Dean of the Faculty of Applied Arts, PhD, Assistant Professor Alexan Margaryan had meetings at Azatamut and Sevkar Secondary Schools. 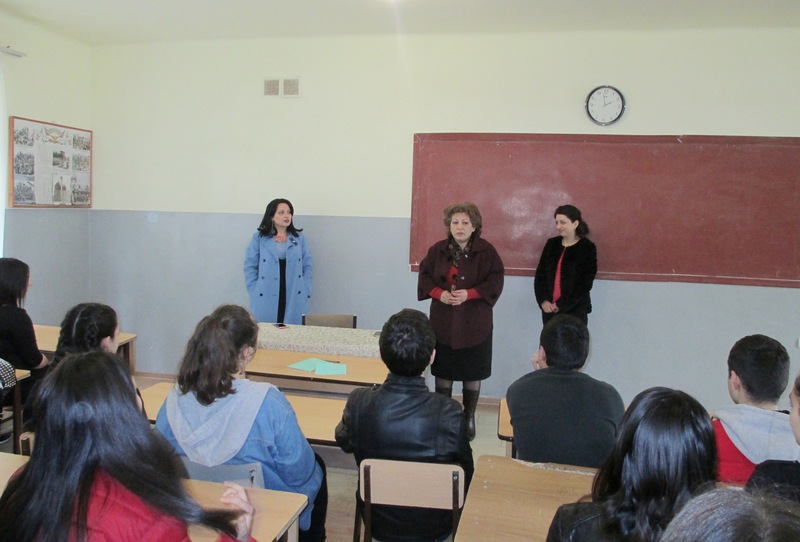 Associate Professor of the Department of Armenian Language and Literature, PhD, Lusine Tumanyan had a meeting with Gandzakar High School. 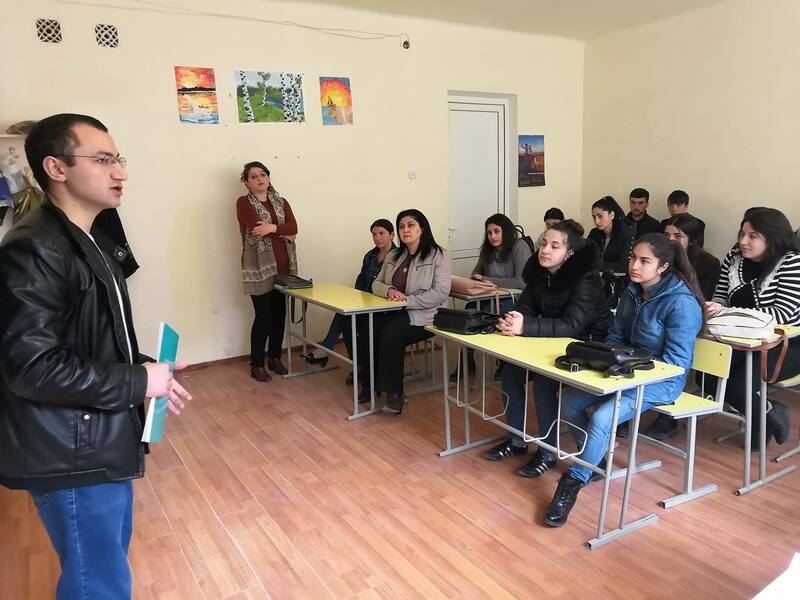 Slavik Alaverdyan, a lecturer of the Department of General Mathematics and Natural Sciences, Inspector of Professional orientation and Practice Department also attended the meetings at 7 above mentioned schools. 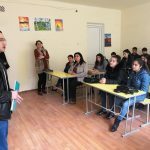 Slavik Alaverdyan also had a meeting with Getahovit Secondary Schools. During the meetings, YSUIB representatives touched upon the issues of professional orientation, presented the professions available at the University and the opportunities they provided, answered students’ questions. 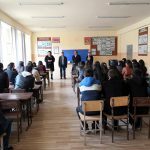 Meetings scheduled at schools will continue from April 1.